"Videomuseums: recording traces of our subjective culture"
the Videomuseums programme, as it was held in Greece and Germany. - Little Scenes of Everyday Violence – a Forum Theatre performance on racism and xenophobia. 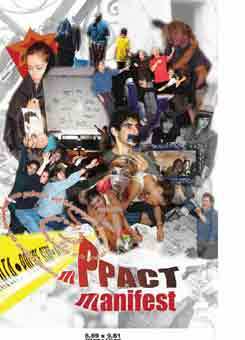 The theoretical and pedagogical context and the techniques of the project "You as I", as it was held in eastern Athens schools in 2007-08 by the Panhellenic Theatre/Education Network. Minutes from seminar camp, Kaldi Mary(edit. ), ISBN 978-960-98466-2-2 (2009). Also contains description and commentary of the workshops: Dimitris Katalifos "Eight steps of awareness for an actor ", Koldo Vio "The Clown Art", Maria Leonida-Nikos Vasiliou "Tell it with a camera: an audio-visual workshop"
Minutes of the 4th International Conference 2004.